You are lucky that you did not (in all probability, as the vast majority of the world’s population did not) know me around 1992 to 1994. I was quite obsessed with the Beastie Boys at the time. I would probably have tried to push the Beasties albums Check Your Head or Paul’s Boutique on you. It was a hard sell in those days to convince anyone that they weren’t just “those wankers that did Fight for your Right to Party” (as pretty much everyone reacted to the news they were still going in this era. At least until the success of the Sabotage video finally brought folks up to speed). Once their 15 minutes in the spotlight abruptly ended, the Beastie Boys started to get seriously interesting. They evolved from shouting about beer over old Led Zepp records (although they were clearly never as dumb as they let on, even in the depths of the spraying-Budweiser-all-over-the-shop era) to crafting the most bizarre, humorous, funkulent trio of albums: Paul’s Boutique, Check Your Head and Ill Communication. It was a joy, then, when I studied at a US university for four months at the start of 1993*. Many folks there knew what time it was, vis a vis the Beastie Boys. By the most miraculous coincidence, the night I landed in New Jersey I somehow bumped into an American girl called Monica who’d been an exchange student at my UK university a few months previously, but to whom I’d never spoken. She somehow smuggled me into a bar, despite my being – scarcely believably now – 19 years of age (the US being infinitely stricter on underage drinking than the UK, and my having slid back into being underage by no longer being in the UK). Severely jetlagged, I was stunned and delighted to see the bar staff bellowing along to Shake Your Rump from Paul’s Boutique whilst pouring out beers for the thirsty punters, one of them even hopping up on the bar for his part in the “Is your name Michael Diamond?”/ “No, mine’s Clarence” exchange. If absolutely forced to choose – and we’re talking looking down the barrel of a gun-level forced here – Beastie Boys’ Check Your Head is probably my favourite album by anybody, ever. Stand Together isn’t my favourite Beastie Boys song (that “honour” goes to 3-Minute Rule from Paul’s Boutique). But it reminds me of probably my most enjoyable ever gig. The Beastie Boys have to be the most exciting live band I’ve ever seen. I was consequently really rather happy when their October 1994 UK tour – for which I (plus my great friends Aaron and Lisa) already had tickets for both Brixton Academy shows – was postponed to early March 1995. This meant that their second night at Brixton fell on my 22nd birthday. They opened with Stand Together (the bizarre main riff from which I always assumed was sampled from a Captain Beefheart record, but turns out – thank you, internet – to be from a totally fallen-through-the-gaps of history band called The Back Door. Nope, me neither!). The wooshing noise early on giving way to a massive hip hop bass drop was maybe the most exhilirating single moment of any live show I’ve ever seen. Stand Together is also a showcase for the dearly departed Adam Yauch (aka MCA). 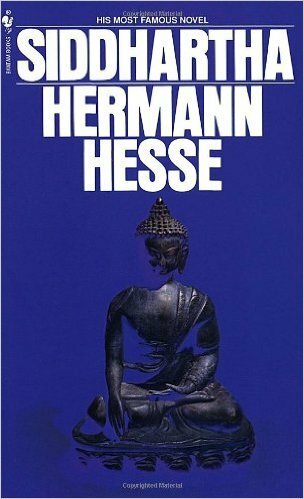 His path through life reminds me of Hermann Hesse’s Siddhartha (a beautiful and highly recommended book about how we all of us move through, inhabit and cast multiple versions of ourselves – not that we might ever achieve anything resembling enlightenment). Yauch went through an absolute personal transformation, from something resembling a gun-toting, drug-addled version of Faith-era George Michael to a quiet, thoughtful and clean-living Buddhist** (and occasional snowboarder), organising tribute gigs for Tibet and rapping about “the enlightened ones who’ve graduated Samsara.” Yauch also brought my one near brush with Beastie-ness. He and a girl were sitting right next to me on the grass in Soho Square for most of the afternoon prior to my first ever Beastie Boys show in June 1994 (which took place at the dearly departed London Astoria, which was right next to Soho Square). But so quiet and unassuming was Mr Yauch in person, that I didn’t actually realise it was him until the exact same guy in a grey Buddha t-shirt from Soho Square leapt onstage at the Astoria and kicked into Sure Shot. RIP Yauch. A truly beautiful soul. * At Rutgers University in New Brunswick, New Jersey to be precise. If you’ve not heard of it, I believe it was the place AJ Soprano ended up going to study at in the Sopranos. And if you’ve not heard of the Sopranos – well, you have some very pleasurable televisual catching-up to do, should you so fancy it. ** I’ve tried to convey this journey through life in the three pictures of Yauch I’ve assembled above, obtained via Googling, and none of which I have any claim to the copyright of. I will remove these images immediately if required. Previous Post#7songs: John Peel, King Tubby, sharing & whingeing Next Post#7songs: What seven songs define your life?